The characteristic sagging and drooping of facial features as we age is caused by many contributing factors. No single treatment can solve all of these issues, so it is important to understand how these factors work together before seriously considering your treatment options. Aging is an inevitable process, compounded by both genetic and environmental factors. As such visual and communal creatures, we tend to notice subtle changes in faces more easily than other areas. This, in turn, can have a profound effect on the way we see ourselves and others. When we think about facial aging, the first things that usually comes to mind are wrinkles and sagging skin. But new research has found that there is a lot more going on. It turns out that the skin, soft tissues such as subcutaneous fat and muscle, and structural support like bones and teeth, are all affected, working together to slowly change the shape of your face as you age. 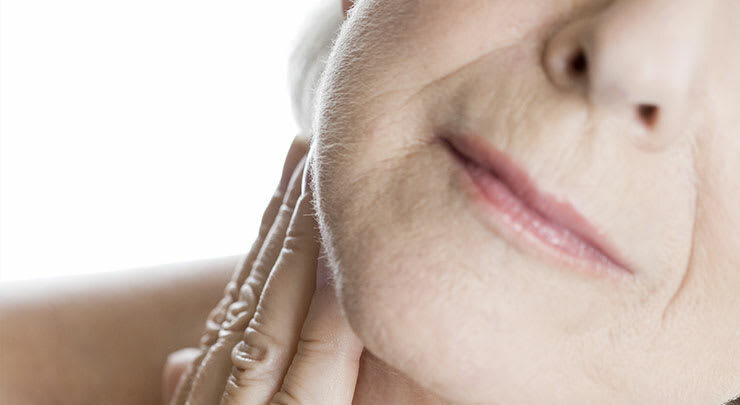 One of the leading causes of facial sagging as we age is facial bone deterioration. Over time, bones throughout your skeleton slowly lose mass and volume, subtly shrinking and receding. While this process has distinct complications for the rest of your body, in the face it usually results in a widening of the eye sockets, recession of the brow bone, and the jawline losing definition. All this contributes to that “aging” look. If you imagine your facial bones as a sort of support scaffolding for the soft tissues of your face, over time this bone loss adds to that sagging, deflated appearance. 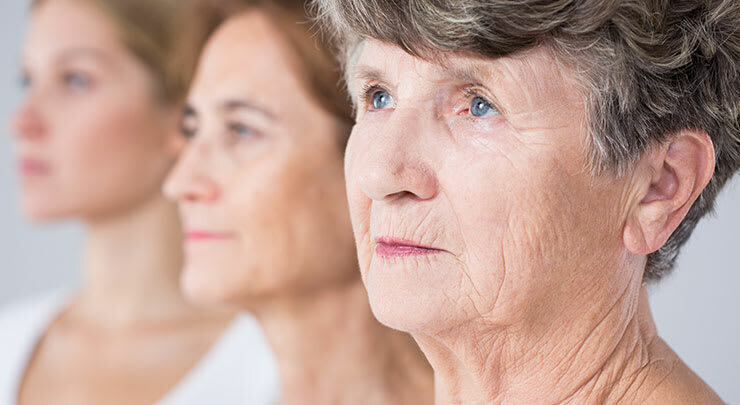 Bone deterioration is an unavoidable product of the aging process, and unfortunately for women, it begins much earlier in life than for men. In fact, bone loss often begins as early as 41 years old for many women, while in men it usually waits until around 65. It is this factor of aging that explains why a simple facelift wont make most people look the way they did when they were 20. In fact, a recent study conducted by doctors at the University of Rochester Medical Center in Rochester, N.Y., found that even a few mere millimetres of bone recession in the eye sockets was enough to add to the appearance of drooping, sagging skin around the eyes. Similarly tiny losses of bone volume result in this kind of sagging throughout the middle face, including along the brow, nose and upper jaw, and even around the mouth. Another primary cause of facial sagging is a shifting of the fat below the skin of the face, called subcutaneous fat. A youthful face is defined by an even, balanced distribution of both superficial and deep layers of fat throughout the face. Youth is characterized by the arc of the jawline, the hollows of the temples, full cheeks, and a soft forehead. Each of these areas are related to a pocket of subcutaneous fat. Aging is associated with a loss of soft tissue fullness around the eyes, in the forehead, between the eyebrows, along the jaw, and around the mouth. Compounding this soft tissue loss is the persistence of fat in other areas, like the jowls, below the eyes, and around the nose. The subcutaneous fat pockets in older faces gradually slide into new locations. This is especially noticeable in the areas directly below the eyes. This fat, called the malar pad, bulges against the nasolabial fold, commonly called the “laugh lines,” causing the fold to become more pronounced throughout the aging process. The loss and redistribution of the fat in the face leads to an unbalanced appearance. Skin wrinkling begins to occur around the eyes and mouth as the fat that once supported them disappears. Sagging, especially in the jowl and laugh lines, begins as a result of excess fat accumulation. As a result of all these subtle changes below the skin, the features we look for in a youthful face begin to deteriorate. Jaw lines become scalloped and replaced by a jowl line, temples and around the eyes become hollow, and lips become straight and angular. Your skin is more complicated than you probably know. Hiding within your outermost layer are two proteins that work together to give your skin strength and elasticity. The first of these two proteins is collagen, which forms the connective tissues that hold your skin, bones, tendons, muscles, and cartilage together. Making up almost 80% of the dermis (the part of your skin below the outer-most layer), collagen plays an important role in the way your skin looks and feels because it is your skin's main structural component, giving it both firmness and shape. The second, yet no less important protein, is elastin. Also found in connective tissue throughout your body, elastin, as the name implies, is highly elastic. It gives the tissues of your body their ability to resume their shape after being stretched or contracted. Elastin is the substance that helps your skin return to its original position and shape when it is pinched or poked. Unfortunately, there are many things found in our daily lives that contribute to the loss of collagen and elastin in our skin, especially in the face, contributing to facial sagging. Things like smoking or living in highly polluted areas can damage both collagen and elastin. Even spending too much time in the sun can have a negative effect on these two important proteins. And to make matters worse, as we age our bodies naturally lose the ability to create more collagen and elastin to replace what is damaged.